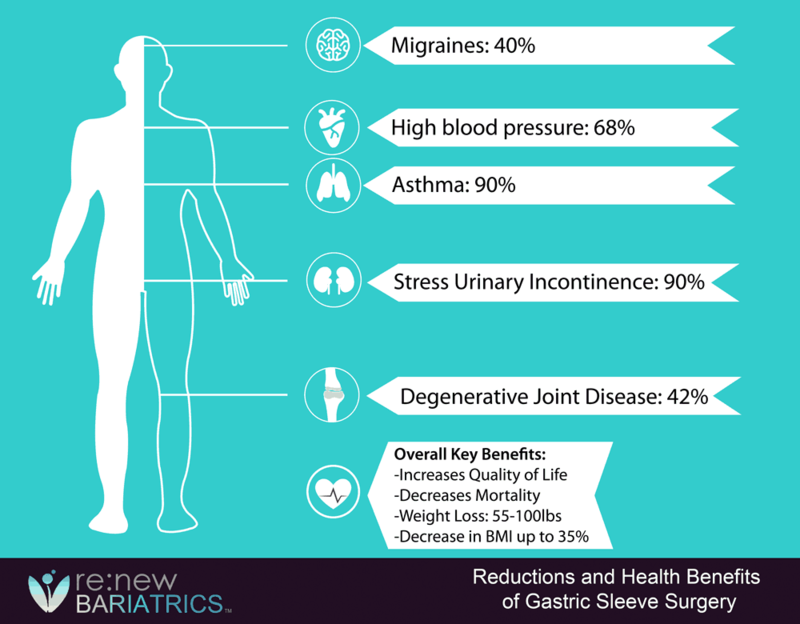 Is Gastric Sleeve Surgery (VSG) Worth It? Pros and Cons? Regrets? The gastric sleeve surgery is a weight loss procedure for overweight and obese patients that help limit the quantity of food one can consume by decreasing the size of the stomach. Is the gastric sleeve worth it? Do most past-patients of the gastric sleeve still believe gastric sleeve was the right decision? Do patients have any regrets? Studies have shown that people who undergo gastric sleeve surgery can lose about 60 -75% of their total body weight. This is primarily due to the limited amount of food that one can consume. You may not drastically change the type of foods you consume, but reduced quantity is what plays a dominant role after the surgery. Reduced volumes of foods mean that the number of calories consumed is also reduced which leads to dramatic weight loss in a significantly shorter period. Feeling hungry is a typical factor in many individuals who are overweight or obese. Hunger pangs and a stretched stomach size make them consume a lot more foodstuffs until they feel satisfied. They feel hungrier and so eat more. The hunger hormone known as Ghrelin is produced within your stomach cells and makes you feel hungry. With gastric sleeve surgery, your appetite decreases significantly because the hormone Ghrelin is now produced in significantly smaller quantities. Your sense of hunger is thus reduced leading to consumption of smaller food portions. The gastric sleeve surgery procedure directly focuses on reducing the size of the stomach but does not reroute the intestines as is the case with a gastric bypass. Thus, digestion and absorption of food work in the same way as it did before the gastric sleeve surgery. This, therefore, reduces the risk of a condition called dumping which occurs when the stomach contents are dumped into the small intestines before they are properly digested. Dumping can often lead to symptoms such as diarrhea, lightheadedness, abdominal cramping and fast heartbeat. With the gastric sleeve surgery, absorption and digestion remain the same as before the procedure. This means that unlike the case with a gastric bypass, absorption of food is not altered and therefore despite smaller food portions, nutritional deficiency is not an issue. Health conditions that develop as a result of weight gain issues can enhance dramatically after a gastric sleeve procedure. Symptoms arising from conditions such as high cholesterol, diabetes, gastro esophageal disease and hypertension have all been noted to improve significantly. Gastric sleeve surgery is irreversible so whichever conditions arise after the procedure has taken place is something that you will have to live with. The process involves permanently removing a large part of the stomach and leaving only a small pouch. You need to learn how to eat slowly and chew food properly because eating food too quickly without chewing properly leads to abdominal discomfort and vomiting. The lining of your stomach can be inflamed or irritated by the procedure leading to gastric inflammation, and the smaller size of your stomach typically means that regular heart burns will be a frequent occurrence. One of the biggest mistakes a patient can make after undergoing gastric sleeve surgery is to try and eat the same quantity of food that they have been used to even after they are physically full. This procedure does not prevent the stomach from stretching and so eating too much can enlarge the new stomach, increasing calorie intake and causing the patient to add the weight that had been lost. Interested in Mexico Gastric Sleeve? Renew Bariatrics has centers in Tijuana and Cancun, learn about our process and why we’re different.